The recently concluded General Elections had all political parties presenting their manifestos. There were many interesting proposals. Some fractions wanted to cut the defense budget. Others proposed better ways of running our healthcare system. Many felt that we could do more to help the poor. Whether or not these suggestions will work in isolation or even as a whole is highly debatable. What it has led me to realise is that for every decision made there has to be a compromise. The role of a good government is to find that balance and work towards the greater good of all its citizens. And a large part of that lies in allocating resources for the production of public and merit goods. Students of economics would be familiar with the term ‘public goods’. Typical examples of public goods are national defense and street lighting. These are goods provided without profit by the government. Because public goods are ‘non-rivalrous’ in nature, the consumption of a public good by a person does not reduce the amount of that good for consumption by another person. At the same time, it is also not possible for exclude someone from the consumption of that public good. Every citizen benefits from having a strong SAF! Of greater interest to us today is the production of Merit Goods. Economists define merit goods as goods and services that have external benefits to society when they are produced and consumed. Unlike public goods though, they are both rivalrous and excludable in nature. Education is the classic example of a merit good. An educated population brings widespread benefits to the society. Crime rate decreases and productivity increases. This leads to a more prosperous population, a higher standard of living and for governments, higher tax revenues. There is a stark difference between defense and education though. For every person that attends school, he or she deprives someone else of the chance to. Schools can also be exclusive – more often than not they turn away students, especially good schools which fill up fast. There is a very interesting conundrum regarding the production of merit goods. When left to the private sector, merit goods will be under produced and under consumed. This is because the private sector will charge too high a price and most people will be unwilling to pay that price. Let us think about it from a business point of view. The firm producing education services will not reap the rewards from the society it benefits. The higher productivity and increased in standards of living is not its concern. It is only looking to maximise its profits. Hence, firms that provide education will charge as high a price as they can get away with. The end result is that many will be deprived an education. This is where the government steps in to subsidise schools and make education affordable to all. Because if they were left to its own devices, widespread education will never take off in modern societies. The financial education industry is a murky one. In choosing that word, I have two uses for it. Firstly, the boundaries of the financial education industry is largely undefined. No one is sure where it starts and where it ends. A brokerage firm that conducts classes educates their clients on how to pick good stocks. Financial advisors, in the process of sturcturing a portfolio teach their clients about proper asset allocation. 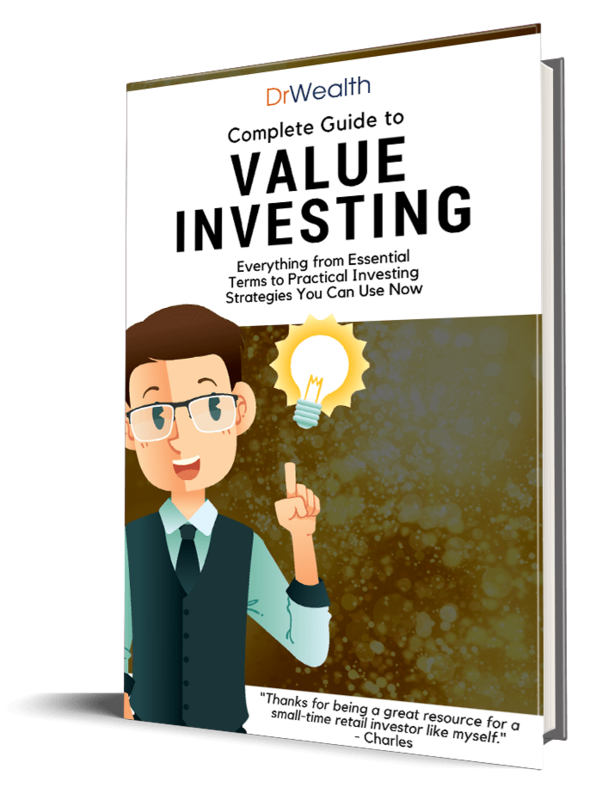 The blogger who shares his thoughts freely and exposes many people sound investing principles. Financial educators come in all shapes and sizes. I also choose the word murky because the industry is a very tainted one. For years it has been plagued by dodgy trainers who have promised sky high returns. Many have also perpetrated scams under the guise of courses. The investing public, easily seduced by slick sales people have parted millions for courses and products that are not what they actually are. It does not have to be this way. In its purest form, financial education is a merit good and and financial literacy is an absolute neccessity. We live in a capitalistic society and we cannot afford not to understand money. To be functional, we need to understand debt and the effects of it. We need to understand the neccessity of saving and the power of compounding. Government policies affect our lives in major ways, we need to be kept informed and updated. On the other hand, financial literacy would also see us taking charge to plan for our own financial future. We need to understand investing – if not active, then at least passive. We need to know what is a realistic rate of return we can expect. The moment we do, we will be able to differentiate between scams and genuine investment products. Financial literacy is not about knowing how to make more and more money. Financial literacy instead is about knowing how much is enough. When financial literacy increases, there will be lesser societal issues, people feel more in control and the overall well being of the population increases. Unfortunately, like all merit goods left to market forces, financial education will be under produced and under consumed. The level of financial literacy will forever languish.